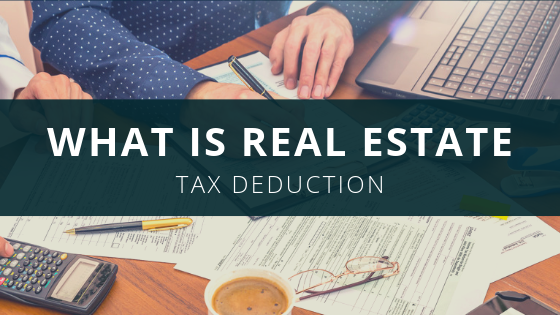 What Is Real Estate Tax Deduction? The year after buying your first house is full of surprises. That’s something I’ve learned for myself this past year. There was a ton physical work that I had to do - from moving all my furniture to getting it all set up perfectly in the house. But none of that physical labor brought anywhere near the level of stress that the “paperwork” that comes with buying a house did. So you can understand why my ears perked up when I heard a friend talking about their deduction. “You mean, I might actually benefit from this sea of papers I’ve been swimming in? “Tell me more. What is Real Estate Tax Deduction?” I asked. If you pay taxes on property, you can claim specific deductions on them for things like repairs and homeowners association fees. As of 2018, there’s a $10,000 limit on the amount you can claim. Landlords get the most benefit from these deductions since they’re eligible for more items. Renters cannot claim property tax deductions. “Property” can also include land, vehicles, boats, and vacation homes. What is Property Tax Deduction? To get started, let's get clear on just what exactly Property Tax Deduction actually is. Other than the awesome feeling of having something that's truly yours, it's one of the main benefits of owning a home instead of renting. Basically, when you own a home, you pay taxes for it every year. These taxes are based on the value of your property, including the land and all the buildings on it. A tax assessor will visit you every 5 years to reevaluate the value of your property. After you've paid these yearly taxes, you'll actually be able to get some of your money back by "deducting" the cost of eligible items you paid for during that year. I'll go into more detail below about what these deductible items actually are. What is the current Property Tax Deduction limit? If you're like me, at this point you're probably thinking, "Oh yeah! Property Tax Deductions are awesome - bring on the savings baby!" But let's not get ahead of ourselves. While we're lucky the ability to deduct taxes even exists in the first place (more on this shortly), like all good things they come with a limit. As of 2018, you can only deduct up to $10k from the combined property, state/local, and sales taxes that you paid during that year. I say that we should feel lucky for this because there's an ever-growing discussion going on currently about getting rid of Property Tax Deduction. The main reasons people in favor of eliminating it give is that the deductions discriminate against renters, and also encourage people to take on more debt. To be honest, I'm not versed enough in this area to judge those arguments fairly. How do you calculate for your Property Tax Deduction? As mentioned above, the Property Tax is calculated by using the value of your property. Under the umbrella of "property", they'll include the value of your land and all the buildings you own on it. Then every 5 years a tax assessor will come to your home and reevaluate your property. I'll go into further detail on this below, but personal property is not just limited to land and your main home. It can also include things such as your vacation home, vehicles, and boats. The value of all these items will be added up to come up with your final property tax calculation. How does Property Tax Deduction work for a Rental property? Unfortunately, as the actual person renting a property, you won't be eligible for Property Tax Deductions. If you're a landlord though, it's a whole different story. You'll be able to get deductions every year you pay for expenses including advertising, cleaning & maintenance, commissions to rental agents, homeowner association fees, utilities, travel expenses, and repairs. So, you can see that landlords actually receive the biggest benefits from Property Tax Deductions of anyone. Having said that, they also have to deal with depreciation. That's' the decrease in value that happens to your property over time because of the wear and tear that comes from tenants. But what if you only rent the property out some of the time & the rest of the time is for your personal use? Well, if you only rent it out for 14 days or less, you won't have to pay any taxes on the rental income. This doesn't necessarily mean that you don't get any tax exemptions overall, just that you won't have the plethora of deductible items available to true landlords. Can you pay Property Taxes for multiple years at once? We've already talked about how you can only claim deductions on taxes you've already paid. But, what if you could pay more taxes in advance in order to claim more deductions this year? Well, put simply - you can! As long as you have already received your official bill for next year, you can go ahead and pay it. A common reason people do this is that they're preparing for their income going down the next year, often due to retirement. People also do it if it looks like tax laws are going to change for the worst in the following year. Just keep in mind that you'll want to make sure you're actually eligible for the deduction before you pay in advance. Another way to get bigger deductions is by checking all your yearly registration paperwork for your vehicles for the term "property tax". If you see it, the registration fee is likely deductible. Also, if you bought a house during that year, check your closing paperwork to see how much you paid for property taxes. This adds to your deductible amount. What are some tax deductible items that people might not know about? We've touched on many of these things already, but I was surprised to find how many things you can actually deduct from your property taxes. Landlords have the real advantage here since they can claim deductions for advertising, cleaning & maintenance, commissions to rental agents, homeowner association fees, utilities, travel expenses, and repairs. But even standard property owners can claim things like land, vehicles, boats, and vacation homes. Some items that aren't deductible include assessments for the building of new streets, sidewalks, and rain gutters around your home; services like water and trash; homeowners association assessments; and taxes paid on rented or commercial property. If you happened to buy or sell a house this year, you'll only pay taxes (and therefore be able to claim deductions) for the amount of time you owned the home. So, if you sold your house in July, you'd only pay taxes on the house up until that month. I’ve tried my best to explain everything I know about Real Estate Tax Deduction here for you, but I’m still learning. Fortunately, I know some really great realtors who are experts in this kind of thing. They’re always happy to answer my questions about real estate in great detail, and I know they’d be thrilled to answer any lingering questions you may have as well, so don’t hesitate to reach out to them here! Every couple of months, I like to shake things up by taking a little weekend trip somewhere within a days driving distance (last time was to Pigeon Forge, TN). Of course, that means I have to find somewhere to stay while I’m there. In the past, that’s meant booking a hotel for two nights. But for my next trip, since I’ll be going with a few friends, I decided to go all out and rent a house. That got me thinking - do I even know how to rent a house for a weekend? Decide if you want to use a local realty company or a general rental website. Check out the location to make sure it's safe and offers plenty of things to do. Read reviews of the property. See what appliances, towels, and sheets the renter provides, so you know what to bring. But there's a lot more to learn, so let's dig into the details below. 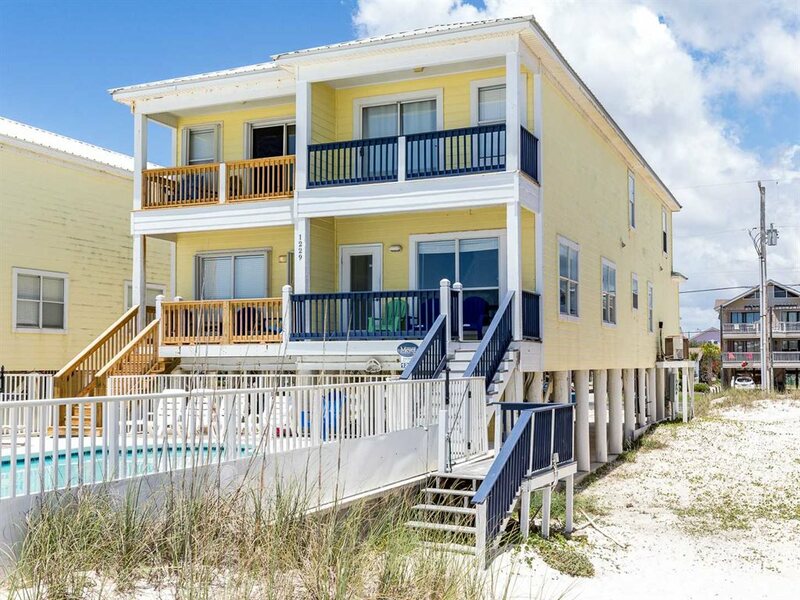 What is a Vacation/Short-Term Rental? Renting a house for a weekend puts it firmly in the category of a "Short-Term" Rental. Alternate names I found for this category were Vacation, Transient, and Resort Dwelling Rental. So what constitutes a short term stay? Based on my research, it looks like the consensus is that any rental period of less than 31 consecutive days would qualify as short term. There's also something called the 14 Day Rule, that says that the property owners cannot file for rental property tax reductions if they spend 14 or more "personal" days there. In that case, it would qualify as a personal residence. Because of the rise in popularity of Airbnb and similar sites, vacation rentals are popping up all across the US. This is different than in the past when this type of offering was centered more around vacation towns and big cities. 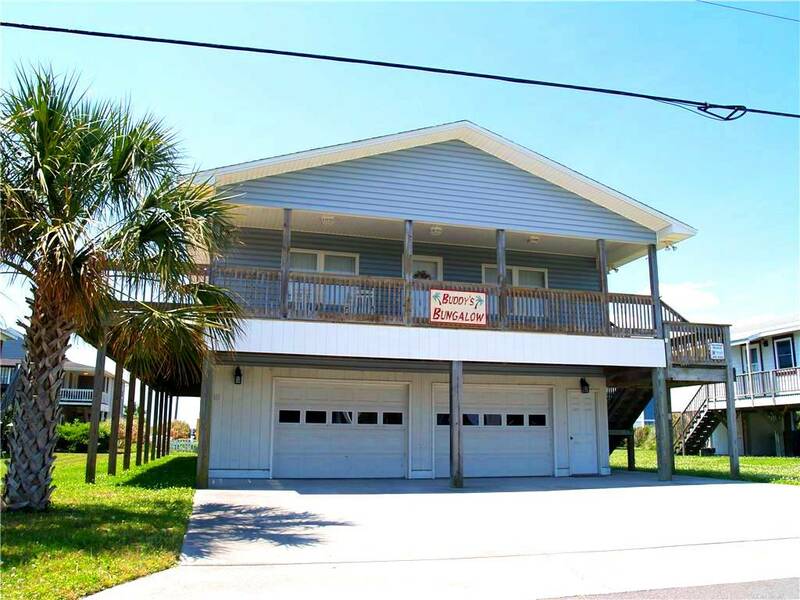 When it comes to the specific type of lodging you can expect with this kind of rental, there are three main offerings. The first, Entire Home, is pretty self-explanatory. You’ll be renting the full house, and shouldn’t expect the owner to be living there at the time. The next option is called the Accessory Dwelling. In this case, you’ll be renting a guest house, apartment, garage, or separate cottage. It's possible that the owner will be living in the main house during your stay. The last option is the one Airbnb has made its fortune on - the Single Room. As you probably expect, this is a situation where you’re renting one room of a home, again with the possibility of the owner residing there during your stay. Who are the top Vacation/Short-Term Rental players? As of 2017, there were 125 short term rental websites operating in the US alone. Needless to say, it wouldn’t help you for me to list them all here. So I’ll just talk about the biggest players in the game, and what makes each of them unique. First is the site most readers are likely to recognize - Airbnb. Like I mentioned above, they differentiated themselves early on by focusing specifically on single room rentals. Having said that, you can find just about any type of rental on their platform. Because of how easy it is for a property owner to set up a listing here, it's currently the fastest growing company in the industry. Next up is a more traditional, though hugely successful company many will recognize - VRBO. Their focus is more commonly on Entire House rentals, which are listed by the property owners or managers directly. If you can imagine the review oriented power of TripAdvisor blended with a vacation rental company, then you’ve successfully imagined my final pick - FlipKey. In fact, the company is actually owned by TripAdvisor and it's those user reviews that set it apart. Like its parent company, renters are allowed to submit their own pictures with their reviews, which can be supremely helpful for potential renters trying to decide between options. What're the advantages of renting a house from a local realty company? Having now described all the "big boys" in the rental industry, there's one very important option for renting a house short term that we've haven't mentioned - going local. I'll admit I'm a bit biased, but after looking into it I truly believe renting from a local realty company is the best choice you can make when it's an available option. Hear me out and I hope to make it clear why. First and foremost, the locals know how to treat you right. Sure, you might get lucky to find a property owner on one of the bigger sites who's willing to go out of his way to make sure you're highly satisfied. But most local realty companies will pair you up with a realtor when you rent from them. In other words, you're in the hands of an expert, rather than those of an amateur. This means that you’re not just renting the house, you’re also renting the years of experience this person has had living and working in that specific location. Think about it, who could possibly know more about what a particular city offers vacationers than a seasoned realtor? That’s why I’ll be booking all my weekend rentals with local realty companies in the future. 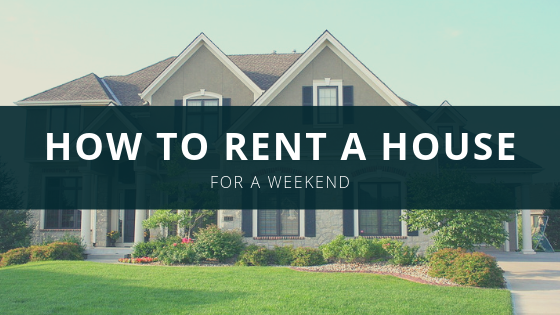 What should you check for before renting the house for the weekend? I can't imagine a worse scenario when renting a house for the weekend than getting there and finding that it's a disaster zone. So, I dug around and found some great things for you to check for before you make the decision to book a specific rental. First, as they say, location is everything. In this case, that refers to two separate concerns - safety and things to do. You'll want to check out the area your rental is located in and make sure that it's not notorious for crimes. You should also check to make sure there are things to do in the area, though I'm sure that'd be your reason for going in the first place. If the location checks out, you'll then want to check for reviews of the rental house. It's not necessarily a bad sign if the place has no reviews since it could be a new listing. But you definitely want to look out for bad reviews, especially if there are multiple pointing out similar issues. The next thing to check is whether or not the place pet-friendly. This is for two reasons. The first is of course so you know whether you can bring your pet if you were planning on doing so. The second reason is that if you're someone who's allergic to animals, you may not want to stay in a pet-friendly rental. The last thing to check for, which I hadn't thought much about until looking into it, is what you'll need to bring from home. By this I mean, what appliances does the rental not have that you may need during your stay? Also, will you need to bring towels or sheets for the bed? The person you're renting from should be able to answer all these questions for you. How do you list your own house for rent this weekend? Now that we're both a lot clearer on how to rent a house for a weekend, I've been wondering what I would do if the situation was reversed. What do I need to do in order to list my own house for short term rental? Well, it turns out that it's a lot easier than I had expected. In fact, there's not much for me to really explain to you, because it's such a simple process. All you have to do is decide which site you want to list your property on, contact one of their realtors, and they'll guide you through what looks to be a pretty easy setup. Again, I'll recommend going with a local realty company here. That's for the reasons listed above, plus the very important fact that a local company will be able to market your listing in their area unlike a country-wide player would. What do you need to do to prepare your house for the renters? But once you've gone through the paperwork to get your rental up and running, how can you make sure you're giving your guests all they need? Well, the first step is to put yourself in their shoes. If you haven't already, go back and read the section of this article telling potential renters what to check for before renting. Then make sure your house is meeting, if not exceeding, all those checkpoints. Next, be sure to clean up the house extremely well, along with fixing anything that's broken. You want to go above and beyond in preparing your house because that's the way you'll get positive reviews. When you've got the reviews, the house practically rents itself. If this is something you're going to do long term, you'll also want to consider using a property management company. That's because they'll do nearly all the work for you - including the cleaning between renters! I’ve done my best to teach you what I’ve learned so far about renting a house for a weekend here, but I’m still learning. Thankfully, I’m close with a few great realtors that I trust. They’re always happy to answer my questions in great detail, and I know they’d feel the same about helping you out. So, if you still have any lingering questions, or you’re interested in renting a house this weekend, reach out to them here! I’m sitting here with a huge smile on my face, as I just sent out the very last of this years’ Christmas cards...finally. But now that the cards are out and I’ve done all my shopping, I still have one more thing to worry about - what to do on Christmas Day at home? Activities & Games specifically for kids, teens, adults, and the whole family. Okay, so I know you’re excited to get down to business, so let’s dive in! What are some Traditional Christmas Day Activities & Games? When it comes to the holidays, I’ve always been more of a traditionalist. Of course, it’s always fun to color outside the lines. But there’s nothing better in my opinion than the nostalgia that floods me every Christmas when I’m with my family and we’re doing all the same activities we’ve done since before I was born. The following list includes all the things my family and I do every year, along with other traditional activities & games I found around the web that sounded really fun. 1 - Traditional fun for Young Kids and The Whole Family. Sing along with “The Twelve Days Of Christmas”. As a complete introvert, I’ve always had a strong love/hate relationship with this game. If you’ve never played, all you do is sing through the verses of the song, and have a different member of the family sing each day’s gift. There are sure to be a ton of laughs with this one when Grandpa forgets his line, or Uncle Bill sings hilariously off key. Decorate gingerbread houses. Even as an adult, this is one of my favorite Christmas activities. I think it’s because I’ve always had an artistic personality, and I love how each house comes out truly unique, based on its maker. Not to mention, the houses are a blast to destroy and eat after Christmas. Make a garland out of popcorn. Here’s a fun one to do with the kids, especially if you have any leftover popcorn from any of your Christmas parties. It’s really easy too, just take a thread and use a dull crochet needle (or even a toothpick) to thread it through the popcorn. Then you and the kids can snack on the garland for the next couple of days. Paint Christmas ornaments. Here’s another fun one for the creative types out there. You can get as intricate as you want here, but some ideas for things to paint to get you started would be things like snowflakes, Santa, elves, reindeer, presents, and Christmas trees. You can also just fill clear ornaments with snow-like glitter if you don’t want to deal with the paint. 2 - Traditional fun for Teens and Adults. How The Grinch Stole Christmas, The Christmas Story, The Year Without A Santa Claus, Rudolph The Rednosed Reindeer, and Miracle On 34th Street. Exchange cookies. Everyone wins with this activity. Just have everyone bake their favorite cookies and place them in a non-see-through container. Then you can use tape to assign a number to each container and let people draw numbers out of a Santa hat to get their cookies. Of course, most people will be willing to share anyway, so you really can’t lose. Play trivia. I play trivia down at a local restaurant every Wednesday, so this is right down my alley. This one can be completely free too since you can look up the Christmas related trivia questions online & then just print them out. I found some good questions for you here. Play Christmas bingo. Like the last activity, this one is nearly free, since you can print out all the materials online. It’s just like normal bingo, except you’ll get a Christmas related clue instead of someone calling out a number. If you have a square on your board that matches the clue, you can cross it out, and the rest is just like normal bingo. I found some resources for you here. What about some Out-Of-The-Box Activities & Games for Christmas Day? Now that you’ve seen a bunch of options for the more traditional activities and games you and your family can play this Christmas, it’s time to check out some unique ideas that I found. Some of these look really fun, and I’m definitely testing them out with my family this year. 1 - Out-Of-The-Box fun for Young Kids and The Whole Family. Hunt for Candy Canes. If your kids love hunting for Easter Eggs, they’re going to love hunting for Candy Canes just as much. It’s a simple idea, but I’m extremely surprised to say I’ve never heard of it before. Needless to say, we’re going hunting this Christmas! Play Reindeer Toss. This one looks really fun if you’ve ever enjoyed ring toss type games. Just take a cardboard box, flip it over bottom-side up, stick two antler-like sticks into the top of the box, then form rings out of pipe cleaners and see who can get the most of them around the “antlers”. You can also draw a face on the box so it looks more like a reindeer. Play "What's In The Stocking". This is like the Christmas version of a game I used to play as a kid on Halloween, where we’d put weird-feeling items like peeled grapes into a box and have people reach in and guess what they were touching. This time you’ll put the items into a stocking, and you’ll confuse them by using things shaped like common Christmas items. For instance, use an onion to make them think of an ornament, or a carrot to make them think of a candy cane. 2 - Out-Of-The-Box fun for Teens and Up. Do a Dirty Santa (White Elephant) gift exchange. This modern-day Christmas tradition is a favorite for many - myself included. Everyone participating will bring a gift (usually below 20$), which will then be numbered and placed into a pile. Then people will take turns drawing numbers from a hat and opening the corresponding gift. When you draw, unless you’re the very first person, you get a choice of opening the corresponding gift OR stealing a gift from someone that has already been opened (without getting to open the gift with the same number you drew). Usually, the same gift can only be stolen up to two times. Play "Name That Christmas Song". Being a lifelong musician, this is one I’m definitely checking out this year. Someone will act as the DJ and will play short (5 second) clips from classic Christmas songs. Then the person who guesses the correct song the quickest wins that round. A good number of songs to use for per game is 20. Play Christmas Carol Pictionary. If you’ve played Pictionary, this is a cool little Christmas twist. Each person will draw the name of a Christmas song out of a hat, which they’ll keep secret. Then they’ll do their best to get their partner (2 per team is best) to guess the song title through drawing alone. They have 30 seconds to get the other person to guess, or they don’t get any points for the round. 3 - Out-Of-The-Box fun for Adults. Scratch off lottery tickets. I know this is weird, but it’s actually a tradition my family and I have been participating in for a couple years now. I mean, who doesn’t like the chance to make some money? Just buy everyone a lottery ticket as a stocking stuffer, and then you can scratch them off together. Trust me, it’s a lot more fun than it may sound. Play the "How The Grinch Stole Christmas" Drinking Game. This one might just put you out of commission, and should only be attempted by brave adults 21 and up. The rules are simple - you must take a drink every time you hear something in the movie that rhymes with the word “who”. Here are some more drinking games related to Christmas movies. Play "Two Truths And A Lie" Christmas Edition. This doesn’t have to be as scandalous as the typical version, but you can certainly make it that way if you want. For this version, you will tell people 3 gifts that you’ve received in the past. Of course, only two of these will be true, so one will be false. It will be their job to find the lie. And that’s all I’ve got for you, friends. 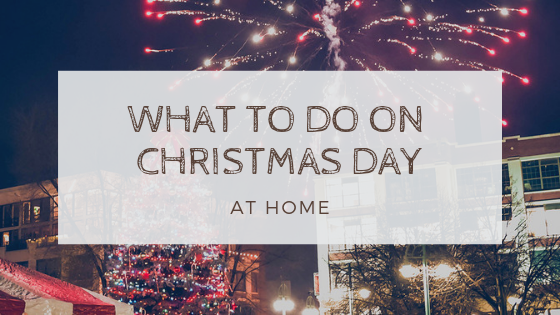 I hope that the wheels in your head are spinning with all these ideas about what to do on Christmas Day at home - I know mine sure are! I was delightfully surprised by how many options there are for Christmas games & activities, many that I’ve never heard of before. I wish you and your family a very Merry Christmas, and if you’re in the Wilmington, NC area and need somewhere for your out-of-town visitors to stay - I highly recommend the friendly team of agents we have here at Network Realty. If you’re thinking of selling your home, you want to make sure you’re getting the best return-on-investment possible. 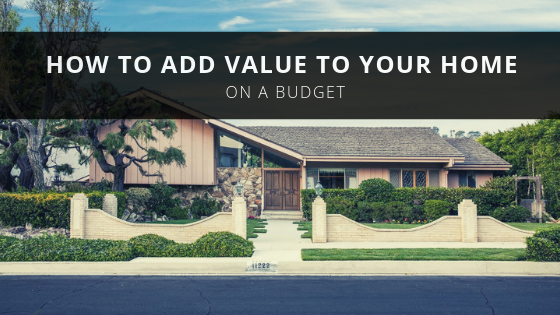 But if you’re money-conscious, or just starting out like me - you need to know how to add value to your home on a budget. Well, I did some research for us both, and it turns out that there are a whole host of options for making your home irresistible to potential buyers, while still keeping your costs low. Focus on what matters most to modern buyers. Make an awesome first impression. DIY as much as much as realistically possible. Let’s dive right in because I found some hidden gems that’ll serve our purposes greatly that you’ll want to hear. 1 - An Updated Kitchen: According to an HGTV article I was reading, as well as one from Consumer Reports - the number one thing buyers look for in a new home is an updated kitchen. Now, what does that mean for us? It means we need some affordable options for updating the kitchen’s appliances, countertops, cabinets, faucets, backsplash, and wall color. Before you run off thinking this is too much to worry about, don’t worry, we’re going to prioritize the list so you only have to focus on as many items as your budget can afford. Luckily, some of the most important things for impressing potential buyers are also the easiest to do yourself. Specifically, I’m talking about the color scheme and the backsplash. The color scheme. When it comes to painting your kitchen, the best choice is to go with a neutral color scheme. That’s because it’s the most likely to appeal to the largest number of buyers possible. You’ve probably done some painting before in your life, but if you haven’t done it in a while, here’s a great tutorial on painting your kitchen. Creating your backsplash. Believe it or not, you don’t have to be some crafting genius to make your own awesome backsplash. Here’s an awesome tutorial from This Old House, where General Contractor Tom Silva teaches a total beginner how to do it step-by-step. When it comes to everything else you could do to update the kitchen, the next most important step is having up-to-date appliances. There’s no need to go crazy here. Essentially, just make sure everything works and is no older than 10 years old max (5 is much better). 2 - Open/Flexible Living Space: After updated kitchens, the living space around your house is the next most important area of concern for adding value. There’s been a growing trend towards a more open floor plan in the past 5-10 years, which is especially popular among the millennial generation. Adding on to that, modern buyers are particularly concerned with flexible living space. Among other things, this allows them to create an office space if they’re working from home (a growing trend). So, knowing all this, what should we do? Since we’re concerned with budget, my mind instantly goes to a new paint job. Why? Because if all the rooms are generally the same color (again, neutral whites and grays work best) then buyers can easily use any room for any purpose. I’m sure there are exceptions, but most people wouldn’t want to work from home out of a bright pink former nursery room. In terms of making your space more open, here’s where you might have to bring out your inner Kool-Aid Man (Oh Yea!) and knock down some walls. This is probably the most difficult task you’ll find in this article, so it’s worth the budget to hire a professional if you don’t feel comfortable. 3 - Efficiency/Ease-Of-Use: The last feature that’ll make your house sell like crazy is its efficiency and ease-of-use. When you improve the way your home functions overall, you’re instantly increasing its value in both the short and long term. Budget wise, the first thing you can do here is to switch out all your lighting for LED lights. They’re more energy efficient so they’ll save buyers money on the power bill. If you can find it in the budget, the next step is high-efficiency windows. According to EnergyStar.gov, switching out normal double-paned windows for the more efficient versions can save homeowners over $100 a year! If you do go this route, don’t forget to bring it up to any potential buyers so they realize the value. When it comes to ease of use, the most impactful thing you could do is switching out all carpet for hardwood (or high-quality laminate flooring for us on a budget). Of course, if you really need to save here, this is something you could do yourself. Here’s the video I used when I helped my parents go through this process in one of their spare rooms recently. Context, context, context. As with anything in life, the value of anything is determined by the frame that it’s presented in. Just like a yummy cheddar cheese filling would make an otherwise delicious blueberry muffin revolting - you could have the most appealing home interior on the planet, and an eyesore exterior would make it unsellable. Now, I’m not saying that your exterior has to look like the Taj Mahal or anything - only that it can’t distract all the hard work you’ve done to the interior. One really cool tip that I found involves taking a black-and-white photo. All you do is go out to the street in front of your house and take a picture, then convert that to grayscale (you can do this on most cell phones these days). For whatever reason, the lack of color in the photo makes any flaws with your exterior (spots on siding, driveway, windows, etc…) immediately apparent. Just don’t try this tip when you take a selfie - trust me! Staying with the exterior, one quick thing you can do that’ll have a huge impact is painting your door. You don’t have to go crazy with the colors here, you’ll be amazed at what simply having a fresh coat of paint on the door will do for your curb appeal. One thing that most people overlook is the driveway and sidewalk areas. Having these areas professionally pressure washed can really make a huge impact on the appearance of your home. Moving on to the interior, this may seem obvious, but you’re going to want your house as clean and tidy as humanly possible. Again, it's all about the way you present your home that makes it valuable in the eyes of potential buyers. So don’t risk losing value in their minds just because you couldn’t clean up the clothes laying on your bedroom floor. Come on, your mother would be ashamed! I hope that you’ve learned as much from this post about increasing your home value on a budget as I did during all my research. As you’ve seen, there are plenty of affordable ways to increase your home value, and you can do most of them yourself! I wish you the best in selling your home, and if you’ve yet to find a realtor, I highly recommend the friendly team of agents we’ve got here at Network Realty. Plan the day in advance. Get creative with the space you have. Use your guests to your advantage. Now that you have the big picture, let's dig in (pun intended). This is just a general hosting tip, but it's important because it will allow you to make sure your guests won't be bored at any point in their experience. Adding on to the first point, if you want to keep your guests entertained well, you can't be slaving away in the kitchen for the whole party (unless you involve them in the cooking process of course). In order to save space and time, make large batches of cocktails, rather than individual servings. Make the trash can visible. If your trashcan is normally under the sink as it is in my case, make sure to pull it out and make it visible so your guests won't leave trash all over your place. Don’t rely on an oven for everything. This one's simple. You can only cook one thing at a time in an oven, so the more things you make without it, the quicker the preparation process becomes. The main thing you'll need to serve your guests is something to eat on, so move around your furniture to make space for as many tables as necessary. In a small space, you've got to drop the idea of everyone eating at one big table. Instead, have them sit at multiple smaller tables in different areas. You don't need a huge table cornucopia to charm your Thanksgiving guests. Just hang some fall themed wreaths around the house and you'll have more space for food and games. Another way to save space (and work) is by putting all the food and drinks in one location and then letting the guests serve themselves. The fewer people are at your party, the less you have to worry about the lack of space. Yes, that means you now have a perfectly acceptable reason not to invite your annoying Great Aunt Marg. Tell them what food to bring. So that you're not overrun by your guest's food selection, ask each person to bring a specific category of food (Jim brings dessert, Mary brings the dressing). BYOT/C (Bring Your Own Table/Chair). If you're going to need more table space or chairs, simply ask guests to bring their own. Trust me, they'll prefer that over eating on the floor. Finally, don't be afraid to ask your guests to help you in preparation for Thanksgiving. It can even be a fun bonding experience when you're cooking with your loved ones. I hope these tips were as much of a revelation to you as they were to me, so you can have a comfortable & memorable Thanksgiving with your loved ones this year. But after all that holiday cheer, don’t kick them out & force them to stay in a cramped hotel room. Check out our cozy rentals here - before they’re all taken! All 3 options look like great choices, but they’re also distinctly different experiences. Let’s dive a little deeper into this so you can pick the opportunity that sounds like the best choice for you. First up, we have the Good Shepherd Center. According to their website, they started as a small soup kitchen back in 1983 and grew from there - so they've been around for a while. More impressively, they had over 500 volunteers last year alone, which is mindblowing when you stop to think about it. As for the experience you'll have volunteering there this Thanksgiving, there is one major thing to keep in mind - you must already be a volunteer in their network in order to serve when the day comes. So if this opportunity sounds appealing to you, I would sign up right now using the link below so you can go ahead and get approval from them. Alright, so the next volunteer opportunity to check out is First Fruit Ministries. Whether or not you're a person of strong faith, this nonprofit looks like a great choice. They've been serving our local community for the last two decades when founder Rick Stoker felt a calling to help homeless runaway children. Since then, among other things, they've gone on to purchase a property providing housing for individuals and families who are going through difficult life transitions. In terms of the volunteering, their Food Pantry will be open from 11 AM to 2 PM. Check them out below! Next, you've probably heard about Mother Hubbard's Cupboard. If not, they're a little different than our previous opportunities. Instead of providing one hot meal to individuals on Thanksgiving day, they provide a supply of groceries. This usually amounts to a 3-5 day supply, made up of both shelf-stable foods and frozen groceries. Also, people can come to get these groceries once per month, not just on certain days. Rather than serving meals, you'll assist the people in gathering their groceries and in checking their information. If you've read this far into the post, it's likely that you already have a desire to volunteer. But I was curious to see if there were any unexpected benefits to volunteering. Besides the obvious answer that it makes you feel good inside to help others, there were a few interesting things I came up with. The first was making friends, which when I look back I can see has totally been true in my life. Actually, I met one of my current best friends when I volunteered at a local art camp for kids a few summers ago. The second thing is that volunteering looks great on a resume. Especially when you're fresh out of college and have little in the way of paid work experience, every little thing counts. Simply showing that you're the type of person who cares about volunteering puts you ahead of more people than you'd expect. Whether or not your family is in town this year, you can still find an opportunity to give back to your community. It’ll make you feel great for the rest of the holidays, as you’ve fully embraced the spirit of the season. And if your family is coming to town, give them (and yourself) the gift of space. Check out our rentals before they’re all gone here. If you’re looking for a fun and unique way to celebrate our favorite fall holiday, you’ve come to the right place! We’ve scared up five of our favorite ways to have a spooktacular time. Enjoy! Celebrate Halloween by solving an exciting who-dunnit and mingle with unusual characters at the Beau Rivage Ballroom on October 26th. Cocktail Hour starts at 6:15 PM sharp, and you'll be able to get tasty appetizers including: Devilish Chicken Dip w/ Parmesan Pita Points & 'To Die For' Cocktail Meatballs, along with a Cash Bar. The dinner itself begins at 7 PM, where you'll have access to Beau Rivage's notoriously delicious Buffett. All of this while participating in an exciting Murder Mystery! Don't forget, it's a Mascarade Party, so dress appropriately - there's a prize for best dressed! We'd normally recommend the yearly production of Rocky Horror Picture Show at this point, but it was unfortunately delayed until next month due to Hurricane Florence. But never fear - there's another Horror themed play happening Oct 19-Nov 10! 'Tales from the Grand Guignol' is an anthology production, showing a variety of tales based on classic horror monsters like vampires, ghosts, & werewolves. These alternate with classic vaudeville comedy acts, for a truly unique experience unlike anything you're likely to have experienced previously. The show (with an optional dinner for an extra fee) will start at 7 pm at TheatreNOW. The Cotton Exchange is a historic landmark in downtown Wilmington, so it shouldn’t come as a surprise that in addition to galleries, local stores, and a coffee shop, the place is also teeming with ghosts! And you can meet all of them by signing up for a Haunted Cotton Exchange Tour. Let by a five-star storyteller, you’ll get the inside scoop on the chills and thrills that await you. Tours take place 7 days a week, tickets are $12, and children under 12 are free. Call (910) 409-4300 to book your spook-fest now. If you have a child 5 or under - you can't miss this event. It's the perfect opportunity to get them interested in the natural world, by introducing them to the things that go bump in the night (aka. snakes, spiders, and other creepy crawlies). The event takes place Oct. 31st between 10 am - 12 pm, at the Fit For Fun Center. Call (910) 341-4630 for more info. Why should kids have all the fun this Halloween? For an upscale yet scary good time, adults can head to the Bellamy Mansion on October 26th from 7 pm - 10 pm. There, you'll be treated to a double feature of the original "House On Haunted Hill" & "Night Of The Living Dead". They'll project the movies on an outdoor blow-up projector screen, & you'll be able to purchase hot dogs, popcorn, drinks, beer, and wine. Don't forget to dress up -- and bring your own lawn chairs & blankets for extra comfort! This is an adults-only party, so - no kids allowed! Unfortunately, between the generalized news media & the scattered nature of online information, it can be quite a hassle to get the information you need about insurance. That's why we wrote this all-encompassing article for you - so you can get back in the swing of normal life as quickly as possible! 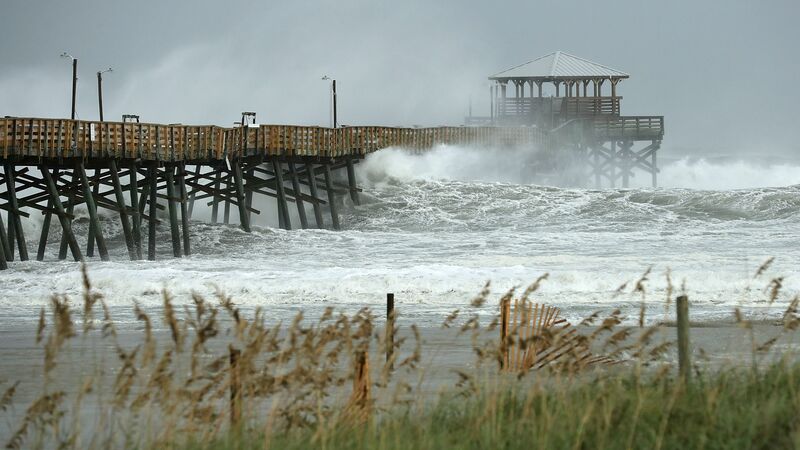 Your Homeowners Insurance Policy & Hurricane Florence. Unfortunately, a Homeowners Insurance Policy will not typically cover flood damage like we've seen during Hurricane Florence. In fact, policies don't cover flooding at all. Luckily though, you can buy Flood Insurance through the National Flood Insurance Program. Of course, this is something you would have had to have done before the Hurricane hitting Wilmington. To plan for the future, it's a great idea to consider buying this insurance, which you can usually do through your normal home insurance agent. The best test to see whether you need this extra expense is to simply consider how much flooding, if any, you had during Hurricane Florence. Every storm is different though, so it's worth considering paying for Flood Insurance even if you had no issues with this Hurricane. This is especially true for residents of a coastal town like our beautiful Wilmington, NC. After the storm hits - how to file an Insurance Claim. File the claim as soon as you can. Your provider will generally process the claims in the order they came in, so the quicker you file, the quicker you'll be able to have your repairs done. Write down your claim number and keep it in a convenient location until the insurance company settles your claim. This will make sure that you'll have all the information you need on hand when your insurance provider calls you about the claim, which they undoubtedly will. Keep track of all receipts related to expenses during or after the hurricane. This includes things such as food, gas, travel expenses, hotel costs, etc. There's a chance your insurance company will reimburse you for these expenses, and it's always worth a try. Take photos or videos of the damages, before repair. This helps prove your claim's validity. Additionally, it's helpful to record the date in these photos, by including a view of something timely like a newspaper in the shot. Call your auto insurance agent if you have any damage to your car from flooding or fallen trees. If you have no insurance, reach out to groups such as FEMA. You can do this by downloading their app to your phone, or by calling 1-800-621-3362. They can help provide things such as temporary housing, home repairs, legal help, and crisis counseling. As we mentioned above, it's too late to get Flood Insurance to cover Hurricane Florence at this point. But so you're informed for future storms, there is a 30 day waiting period for Flood Insurance coverage. This means that you shouldn't wait until the last second to buy it, or else it won't help at all. Another thing to keep in mind is that you have to renew this policy every year. What happens if you don't have Flood Insurance? Sadly, if you don't have Flood Insurance, it's likely that you'll need to pay for the damages yourself. Though it most likely won't cover all the expenses, FEMA offers a $5,000 disaster grant (one per household). It's certainly better than nothing! Much like Flood Insurance, many Homeowner's Policies will not cover Windstorm Insurance. This is especially true if you live in a Hurricane prone area like Wilmington. Luckily, you can still buy a separate Windstorm Insurance policy in this area. If you're currently renting, it is a mistake to think that your landlord's insurance policy will cover you. If you're in this position, you'll need to buy a separate Renter's Insurance for the insurance company to cover you. Similarly, if you live in a Condo, you are not entirely insured by the condo association's policy. Most often, their coverage extends only up until the exterior walls of the condo. This means that you are responsible for the interior walls & everything else inside the unit. You can buy a personal Condo Insurance policy if you are in this position. If Hurricane Florence damaged your home beyond repair, or you need a place to stay while the repairs are being made, we would love to help. Reach out to one of our friendly agents today! Overseeing the maintenance of common areas. Administering a reserve fund, which is used for major expenses. Paying bills with the dues. Enforcing the rules of the community & disputes between residents. What Are The Struggles Of The HOA? The HOA of any given community is usually run by members of that same community. These leaders are usually elected through a democratic voting process by residents of the community. Because of this, it can be difficult for a new resident to make an impact on their community - if that is something they're interested in doing. There are also struggles when it comes to being an elected official in the HOA. For instance, you will be doing a lot of work for the community along with attending frequent meetings, all without getting paid for it. This is the reason that many communities choose to outsource their HOA to a professional third-party management company, such as ours. 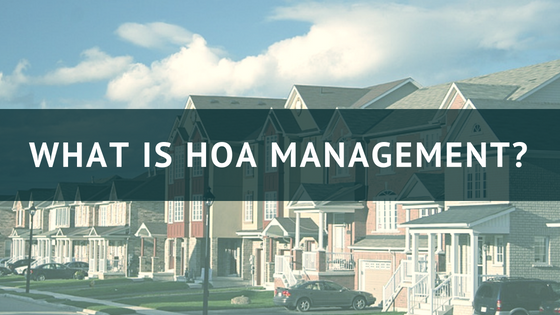 HOA management companies like ours simply help a communities Home Owners Association fulfill its many duties. If they decide to go all in with the management company, all they'll need to do from there is maintain a board of decision-makers. The board may also choose to take calls from the community members & handle disputes between them. Besides that, the HOA management company will fulfill all the other duties mentioned above, taking a huge load off the shoulders of the HOA itself. What Does HOA Management Cost? 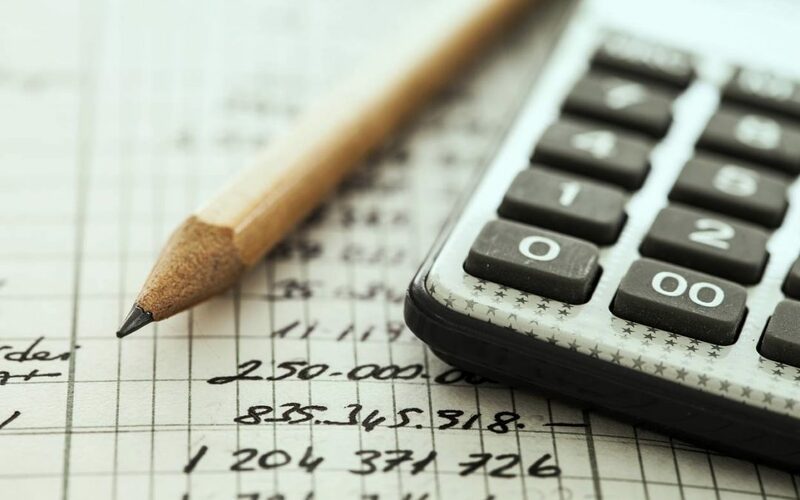 The amount that an HOA board will pay to the management company is most commonly calculated based on how many doors or houses they'll be managing, and they'll charge a flat fee for each. Hiring an HOA Manager often saves the board money as opposed to doing it themselves. That's because the professional managers will have lower cost vendors than they'd be able to get for themselves. Either way, hiring a management company is often the only way for an HOA board to fulfill all their duties. 1) Go to an HOA meeting before you buy. Sitting in on an actual meeting can tell you all that you need to know about how the community is run, and you'll also get a good gauge on your potential neighbors. 2) Figure out what fees you'll need to pay. How much goes into the HOA's reserve fund. The annual increase in overall fees, which is common. The things that may or may not be included in the HOA service, such as trash pickup & cable. 3) Learn the rules of your HOA. Specifically, you should find the rules regarding what happens when you don't pay your dues on time. In some cases, the HOA can actually foreclose on your property if this happens for a certain amount of time. Make sure to read the fine print of your HOA's rules & regulations for things like this. If you're not the kind of person who likes abiding by common rules and getting penalized for not following those rules - living in an area with an HOA may not be the choice for you. 5) Make sure the home you're interested in buying is in compliance with the HOA rules already. It would be a shame to move into a place only to find that you're going to have to do immediate renovations in order to comply with your HOA. This compliance breakers often take the form of specific landscaping choices, as well as outside decor options such as the color of your front door. If you're an HOA looking for professional management services, learn more here. If you're a potential home buyer, talk to one of our friendly agents today! If you're like most, there are a few avenues you go down when trying to plan your next vacation: asking friends for recommendations, hiring a Professional Vacation Planner, reading a vacation guide, or simply making it up as you go along. Your friends might not share the same idea of "fun" as you & your loved ones. A Vacation Planner can be expensive. There may not be a good Vacation Guide for the place you're planning to visit. Leaving it to chance runs a high risk of disappointment. 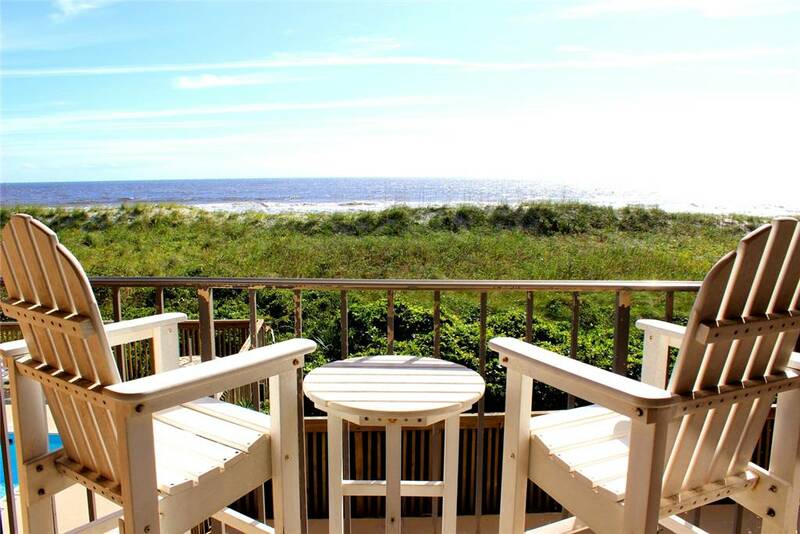 So, I've written this article to address those issues - and to put you on the pathway to the most perfect vacation you've ever had in Carolina Beach, NC. Scroll to the bottom for a Map to all the locations mentioned. First thing's first - what are you looking to get out of your vacation? *Click on your choice to be taken directly to that section. 1) Lounge on the beach. 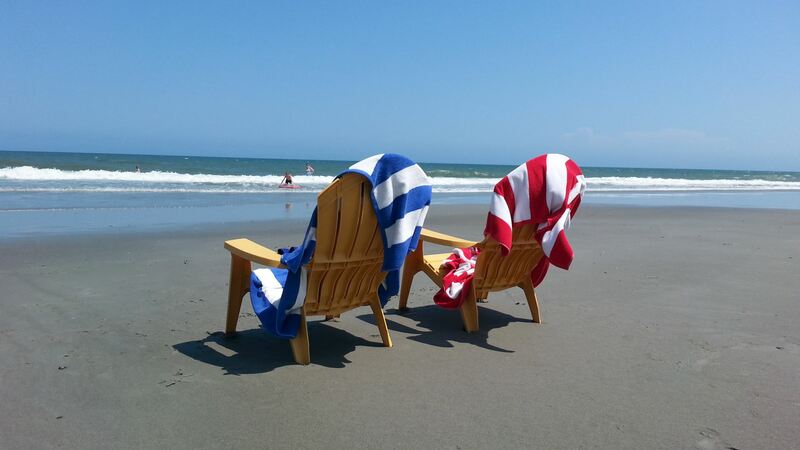 You didn't expect to see a Carolina Beach Vacation Guide that didn't mention the beach, did you? Get there early, or come later in the afternoon to avoid the major crowds while you relax and soak up some rays. 2) Stroll down the Boardwalk. 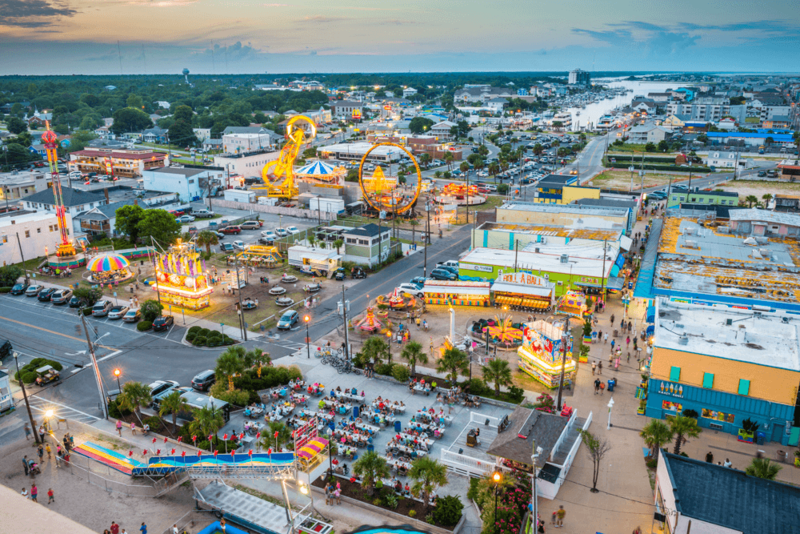 The next thing you'll want to do for a relaxing trip is to walk along the Carolina Beach Boardwalk, as it was ranked among the top 10 in the country by Food & Wine Magazine. There you'll find plenty of things to keep you full & busy, including fresh fudge, homemade donuts, and a Ferris Wheel. If experiencing the wonders of the underwater world (without even getting wet) sounds more like your cup of tea, then the Aquarium is the perfect choice for you. 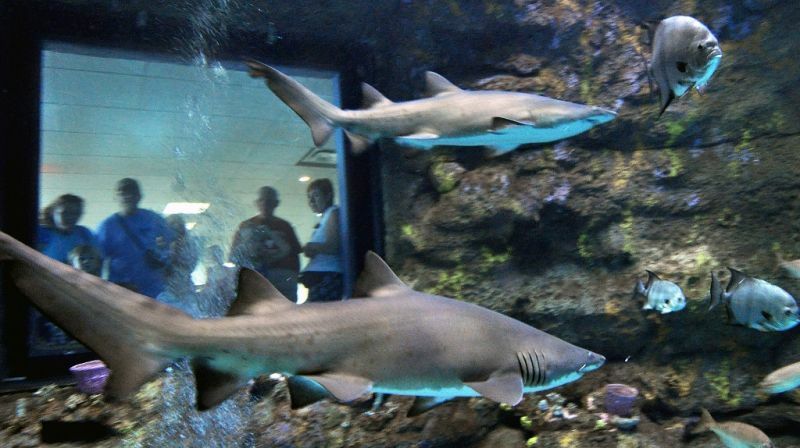 You'll see everything from sea turtles to sharks, rays, and eels. 4) Read on your porch. 1) Take a Fishing Charter. 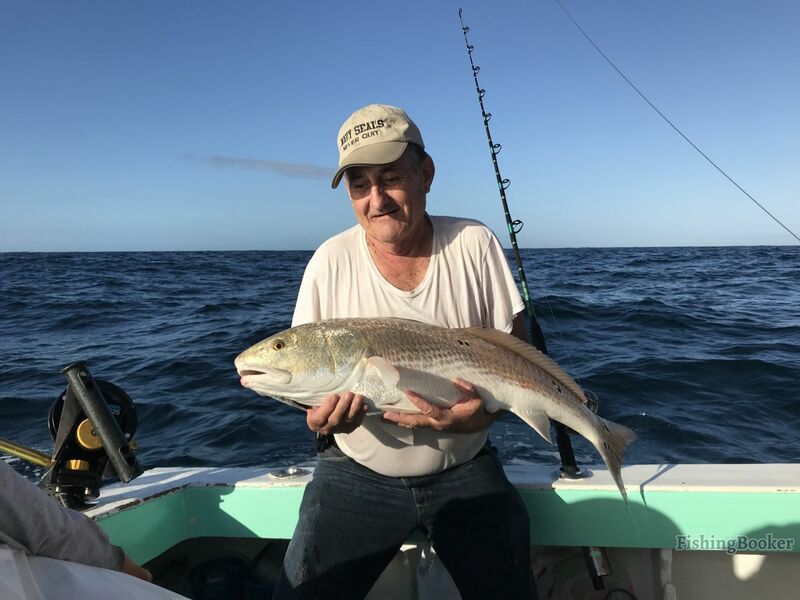 If you're in for a real adventure on your next vacation, there's nothing like taking a Fishing Charter. Plus, if you catch something, you'll be able to bring it home to cook for your family. Either way, you're sure to come home with a memorable "Fish Tale". 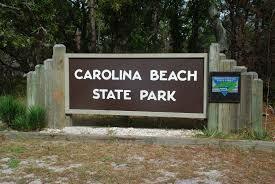 2) Hike through the Carolina Beach State Park. If you're more of the woodsy type, a beautiful hike through the Carolina Beach State Park is certain to delight. You can go it alone, or schedule a tour guide to take you through. 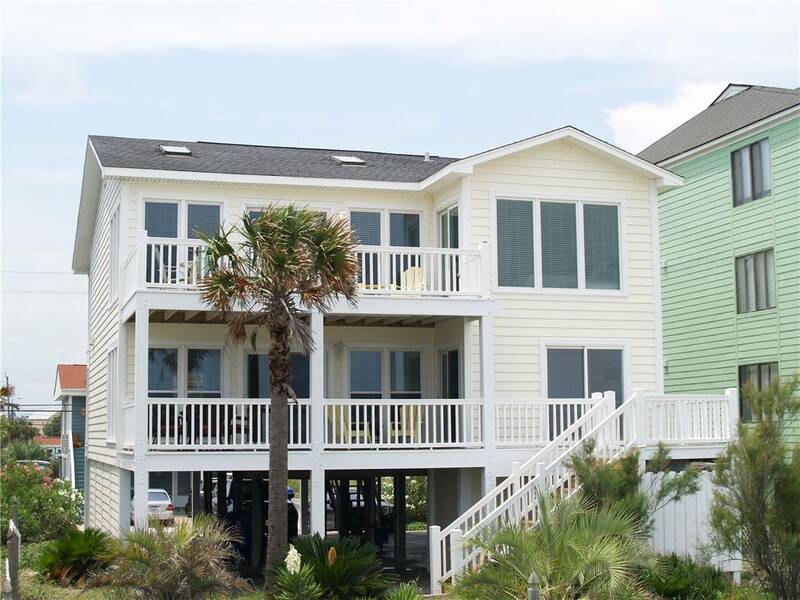 Looking for a place to stay in Carolina Beach during your vacation? Contact one of our friendly agents below today!